Your ultimate upmarket get-away for 2 couples. 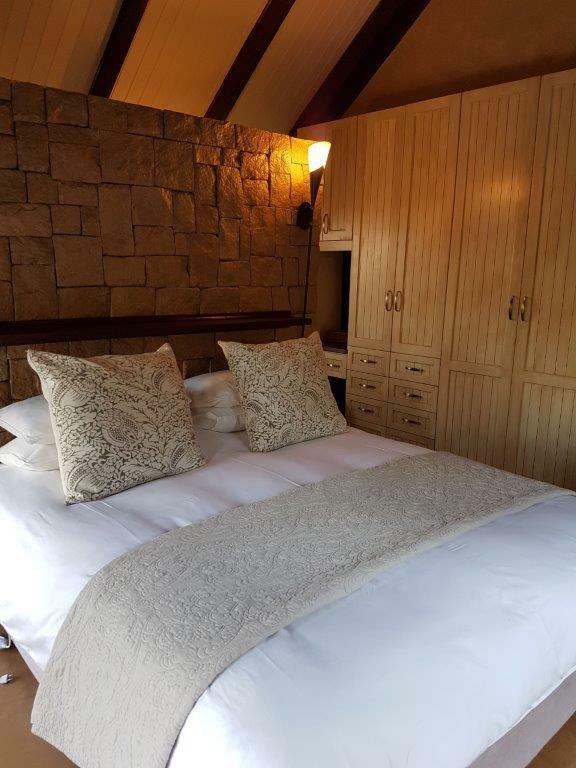 This newly built cottage offers 2 en-suite bedrooms, both with queen beds with white cotton percale linen, down duvets, pillows, quilts and cotton towels. Both bathrooms with bath, shower, toilet and 2 basins, high quality finishes, all amenities, full DSTV on flat screen with Wi-Fi. 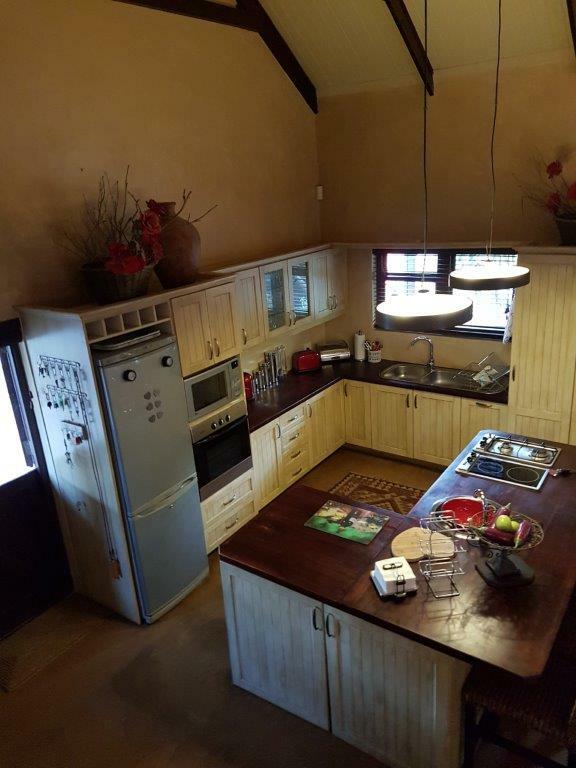 This cottage is set in a huge garden – 2500 sqm with awesome mountain views, undercover built in braai facilities, weber braai facilities and outside lapa. The undercover patio offers 8-seater dining table and comfortable patio furniture, including coach, overlooking sparkling pool area with pool and umbrellas. There is also a outside cold shower. 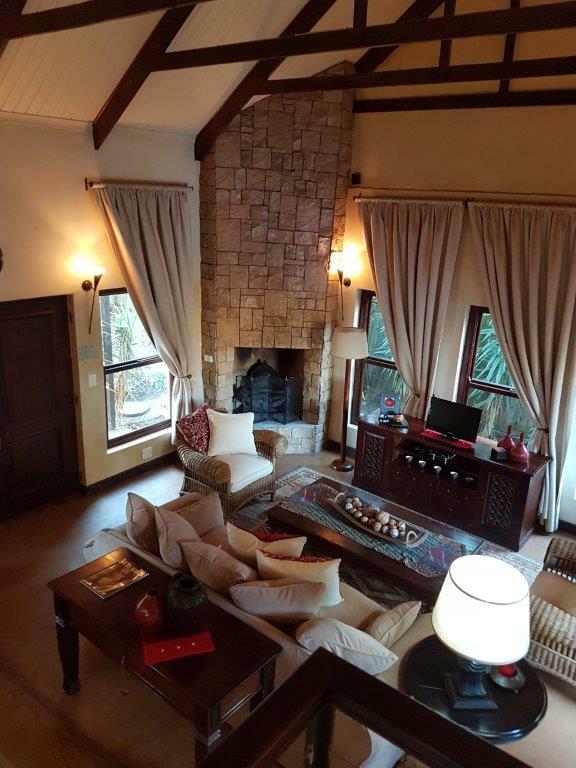 Die Park has been tastefully furnished and decorated, consisting of a big lounge/4-seater dining area and open plan fully equipped kitchen. 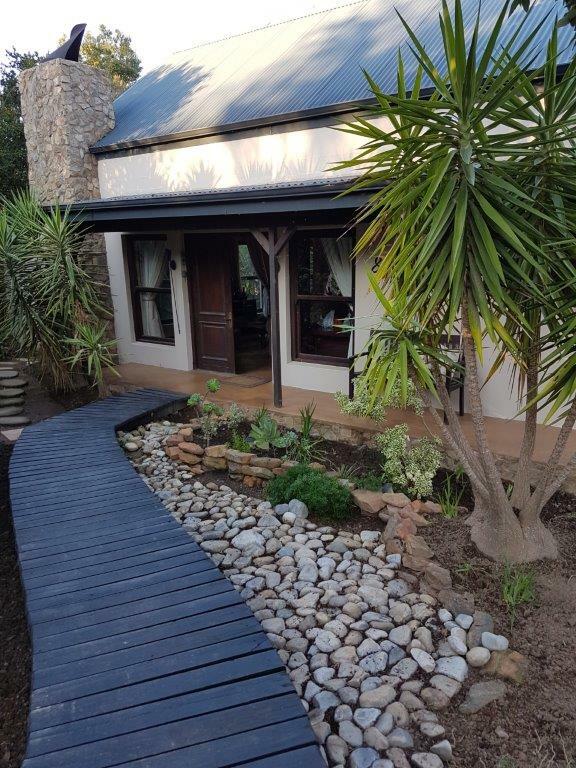 This cottage sleeps 4 guests comfortably in 2 en-suite bedrooms and will be appreciated by discerning guests. • Remote controlled Single garage for one car and off-road parking for 2nd car in drive-way. • Fully alarmed including beams.